German art historian and critic Doris von Drathen has here produced a collection of 24 texts on 24 of the world's famous contemporary artists. In it, she proposes nothing less than a new method of art criticism: an anti-criticism that goes above and beyond aesthetic categories, and against the colonization of art. Paradoxically, the more famous an artist, the more their works seem obscured by inflexible classifications, wild misreading and deceptive labels; von Drathen's analysis instead shows that every one of these artists is driven by an existential and ethical research. 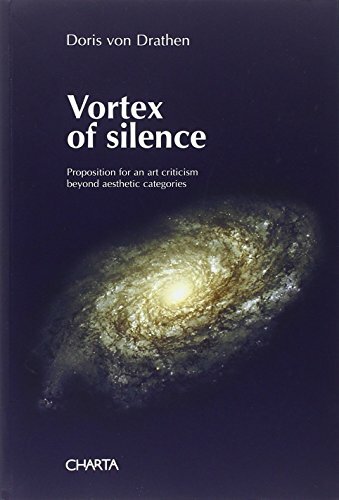 Artists from whom von Drathen raises this vortex of silence include: Marina Abramovic, Jean-Pierre Boltanski, Louise Bourgeois, Pedro Cabrita Reis, Ann Hamilton, Rebecca Horn, Anish Kapoor, Agnes Martin, Giulio Paolini, Giuseppe Penone and David Tremlett.